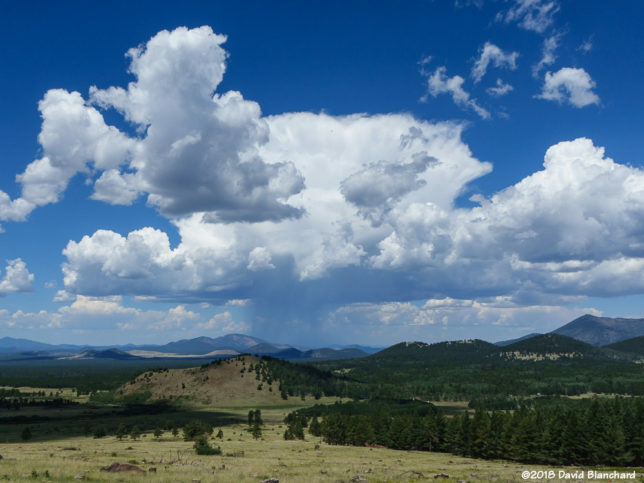 The North American Monsoon arrived in northern Arizona during the first week of July—which is an average start date. Within just a few days, we quickly transitioned from Extreme Fire Danger to High—and within a week or two—to Moderate. 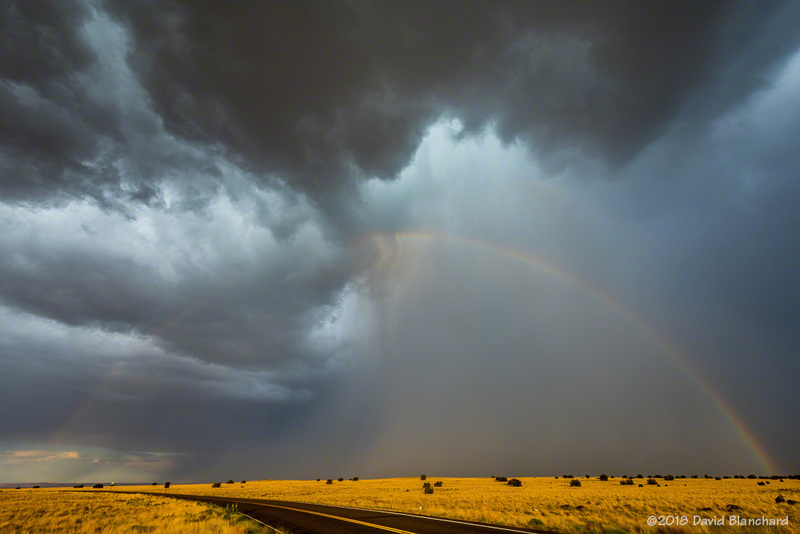 Summer monsoon season is my second storm chase season—the first is in late spring across the High Plains. Second season is more about lightning, clouds with dramatic scenery, and colors at sunset. This July has been a bit more challenging than other seasons but still successful. Here are some photographs of storms and storm-related activity during July 2018. 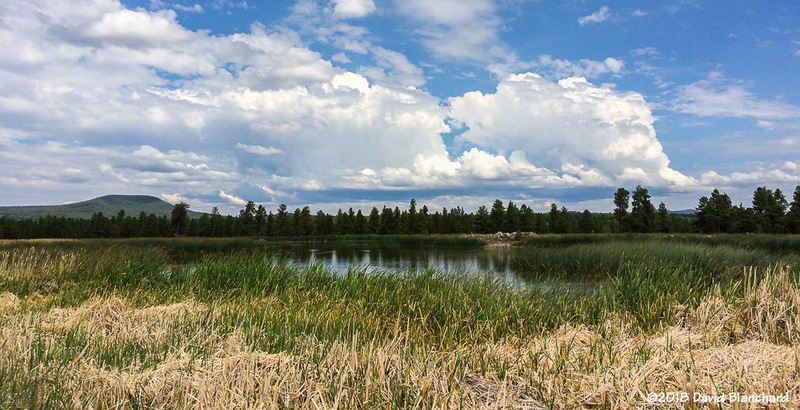 A pair of developing cumulonimbus as seen from Kachina Wetlands. Gust front and arcus clouds advance across Wupatki National Monument. Gust front and arcus clouds continue to advance across Wupatki National Monument. 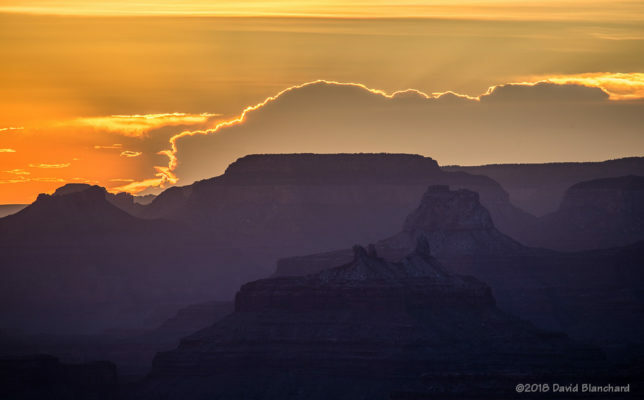 This complex of storms was moving westward across Wupatki National Monument. I had originally planned to photograph the system from the Doney Mtn. Picnic Area but the system arrived at that location before I did. So I retreated back to US-89 and the entrance to the Monument. Both of these images are panoramas that span the northeast through south. The San Francisco Peaks can be seen at the far right of both images. A rainbow (and possible vortex). As convection approached a rainbow developed and I was busy trying to reset the camera to capture the full bow. Only later, when examing the images, did I notice what might be a vortex bisecting the rainbow. Because I did not see it in real time I cannot say whether there was any rotation. It may just be a random bit of cloud debris. The best part of the thunderstorm season is trying to capture lightning. It’s more than just getting a photograph of lightning—it’s important to get lightning in an interesting location. 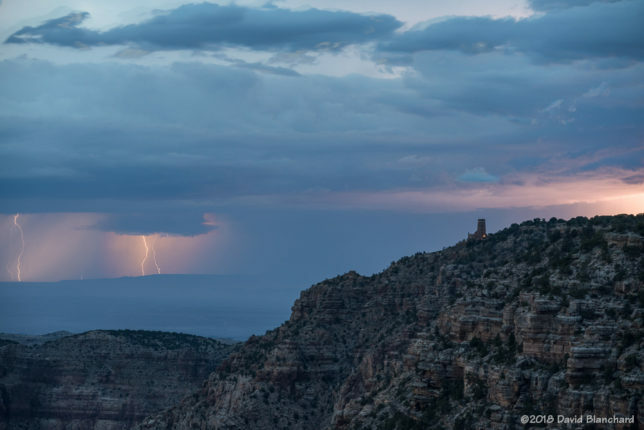 Lightning visibile from South Rim of Grand Canyon with Desert Tower in the distance. 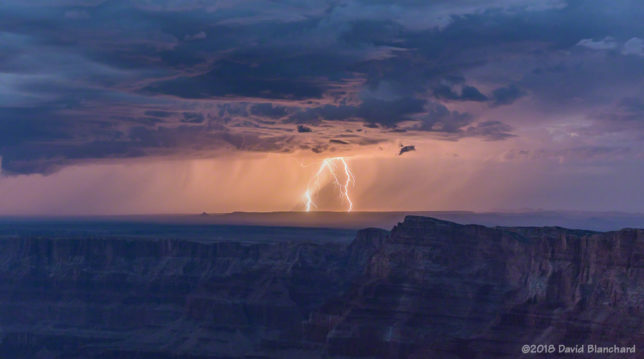 Lightning over the Painted Desert as seen from South Rim of Grand Canyon. Lightning over the Painted Desert. A composite of four images showing multiple lightning strikes on the San Francisco Peaks. These storms dropped almost 6 inches of rain in under 3 hours. Sometimes I chase storms—other times they chase me. 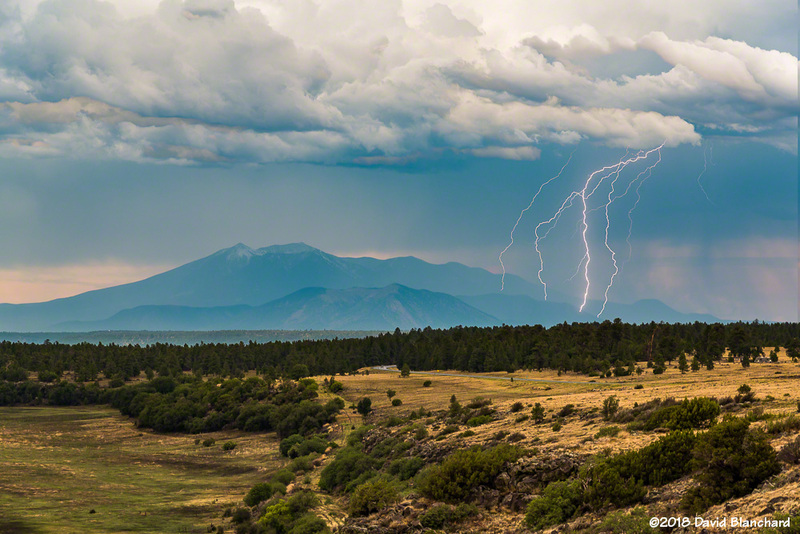 We were mountain biking on Observatory Mesa when this thunderstorm developed and enveloped the San Francisco Peaks. It was definitely time to turn around. 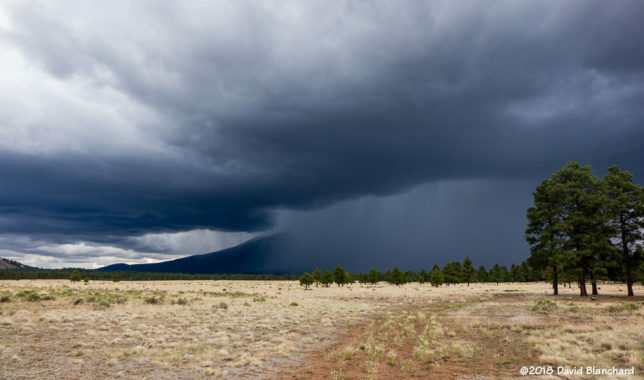 A thunderstorms envelopes the San Francisco Peaks. 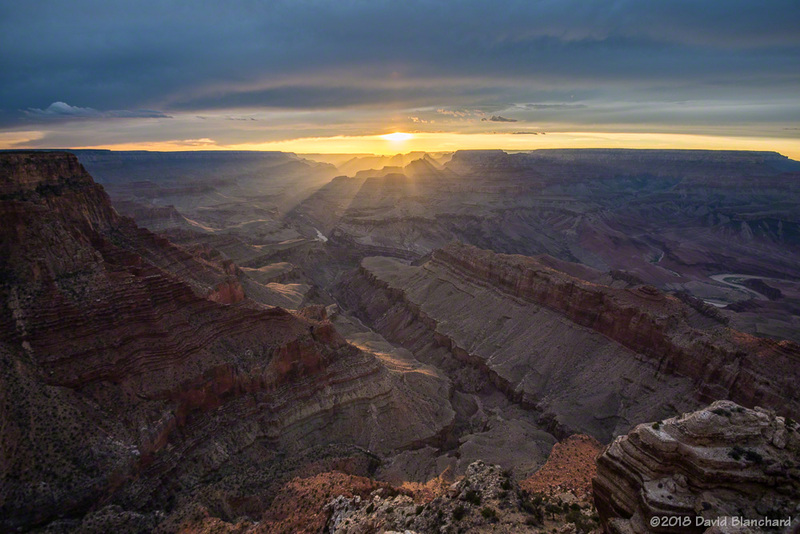 Sunset over Grand Canyon as seen from Lipan Point. A distant thunderstorm is backlit by the setting sun at Grand Canyon. 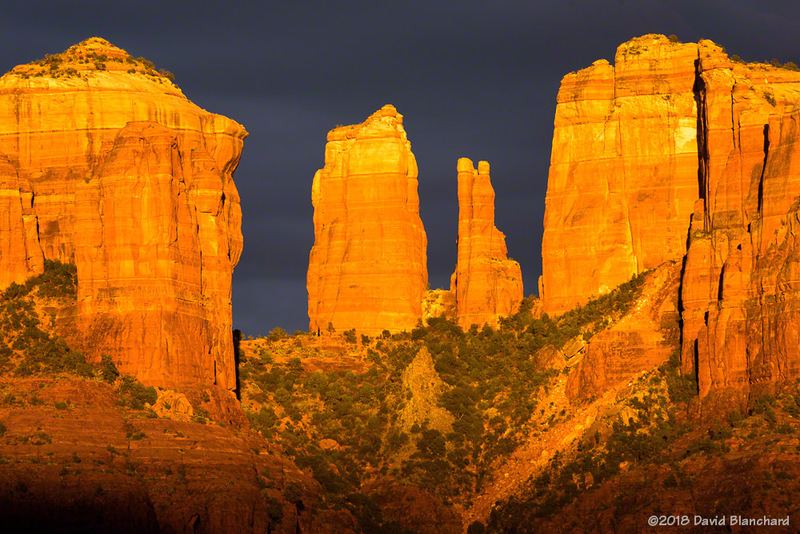 Late afternoon sun briefly lights up Cathedral Rock in Sedona. Dark skies behind Cathedral Rock. The setting sun lights up the clouds as shadows race up the face of Cathedral Rock. Reflections in pools of water can produce interesting images. Several days of heavy rain resulted in ponds of water at Crescent Moon Picnic Area. 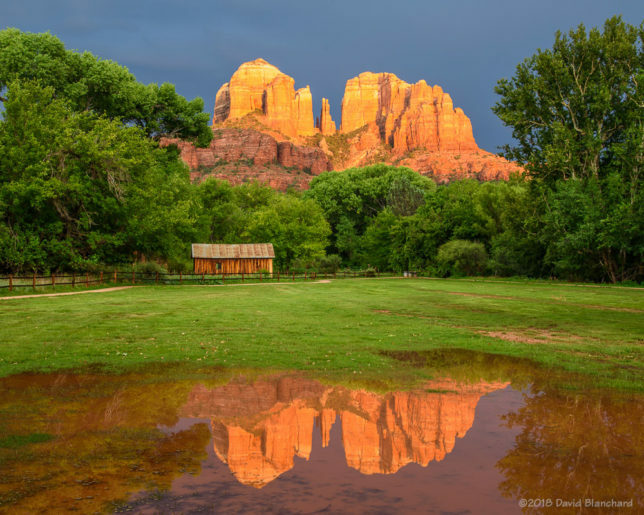 The setting sun illuminates Cathedral Rock which is reflected in a small pond. As is typical, rainfall amounts can vary widely over even just a few miles. Here is a map showing the rain gauge amounts for July on the east side of the San Francisco Peaks southward through Flagstaff and beyond. Amounts range from 2.5 to 14.5 inches. Rain gauge totals for July 2018. 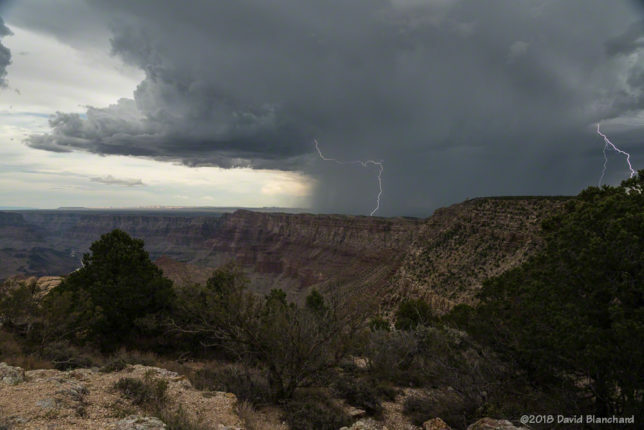 August continues to bring thunderstorms, lightning, and flooding to northern Arizona.